Vessel Nautitech 40 named Cattarina THAI has been produced in 2006. We offer this yacht from base Phuket in the surrounding area of Phuket. Cattarina THAI is licensed for 10 pax. Layout of the boat is 10 (8+2). 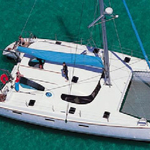 Nautitech 40 Cattarina THAI is equipped with 6 bedrooms. For comfort of passengers there are 2 WCs. You can fill the diesel tank with 200.00 l l. and in water container it goes even 500.00 l liters. With engine 2x30 hp Cattarina THAI can navigate really fast. Cattarina THAI is 11.98 meters long and 6.40 m wide. Depth is 1.20 m. You can find different yachts over here: Catamarans Phuket. 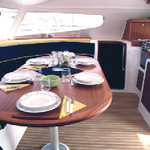 Boat's equipment consists of : Autopilot, Bimini top, Gps, Teak cockpit, Dinghy, Anchor electric windlass, Heating, Outboard engine, Radio / cd player, Gps plotter, Mainsail with lazy jack, Inverter 12v-220v. . Security caution has value 3000.00 EUR. Choose our offer and have fun on the deck of Cattarina THAI. 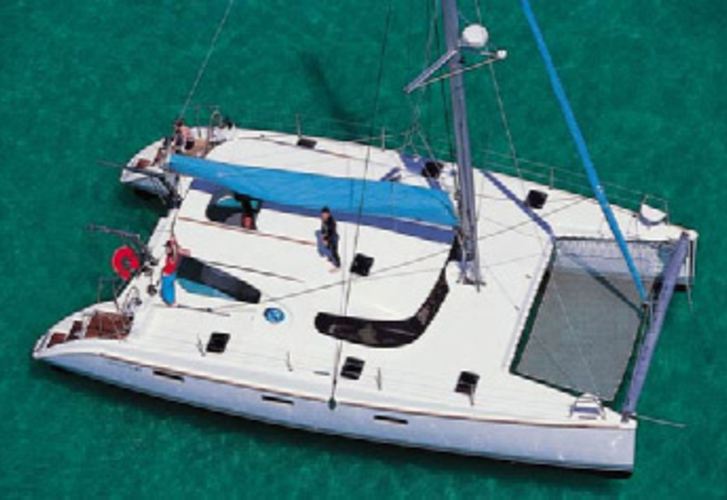 This Nautitech 40 from Phuket from Thailand Get more by moving to this section: Catamarans Thailand.